Rent me. I dare you! 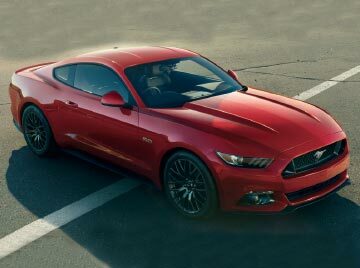 Live life in the fast lane and upgrade your next rental by driving off in the Ford Mustang V8 GT Fastback, thanks to Hertz New Zealand introducing the American classic to its exhilarating Adrenaline collection. It’s available to rent exclusively at Christchurch, Wellington and Auckland airport and city locations. Having stood the test of the time, the Mustang is an iconic and sporty vehicle that has earned its place in the automotive history books. No detail has been left to chance with this head turning vehicle and thrill-seeking Kiwis will love its sleek and streamlined exterior combined with its polished and luxury interior. The Mustang is equipped with an array of the latest automotive technology, guaranteeing not just an exciting drive but also a reliable one which is perfect for navigating the city streets or countryside of New Zealand.